It's true. I cooked. And saved a ton of dough. This year for Valentine's Day, my husband and I decided to skip the crowded restaurant/getting dressed up/pomp and circumstance required to dine out in a decent restaurant. Honestly, by the end of the weekend, we are both ready to kick up our feet and catch up on Netflix. One of the tricks we used at the grocery store was to pick up a fancy dessert and the side dishes. 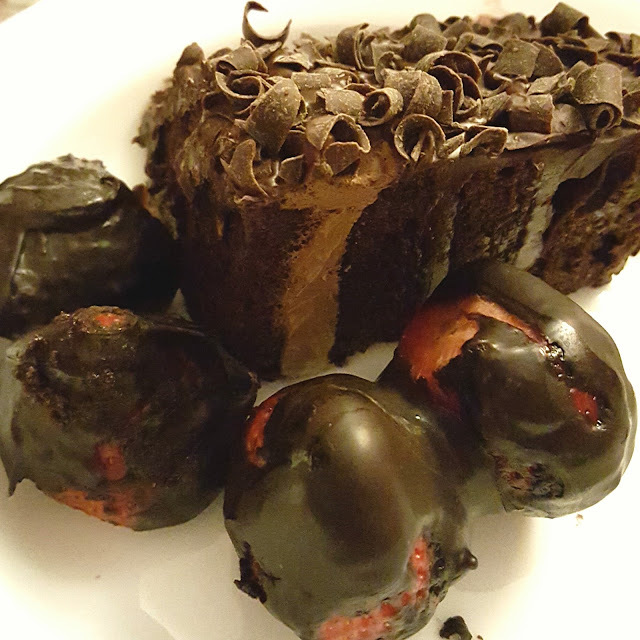 A small chocolate ganache mousse cake was $5.99, which breaks down to less than $1.00/serving. The cake was amazing and cost much less than you'd find in any restaurant, especially on a holiday. The fresh pasta salads from the deli department had roughly the same cost of $1.00/serving. Delicious! Aside from getting to spend time with my husband and cooking on a good pain-free day for me, I get to figure out how much money I saved. This is an ongoing joke around our house. It's never about how much I spent, it's about how much I SAVED. For instance, if I go into a store and spend $23.00 but save $149.50, how could I not brag about that?? I know there are many of you in agreement out there. You know which stores show you how much you saved on your receipts, and which ones circle it for you. I just LOVE this! 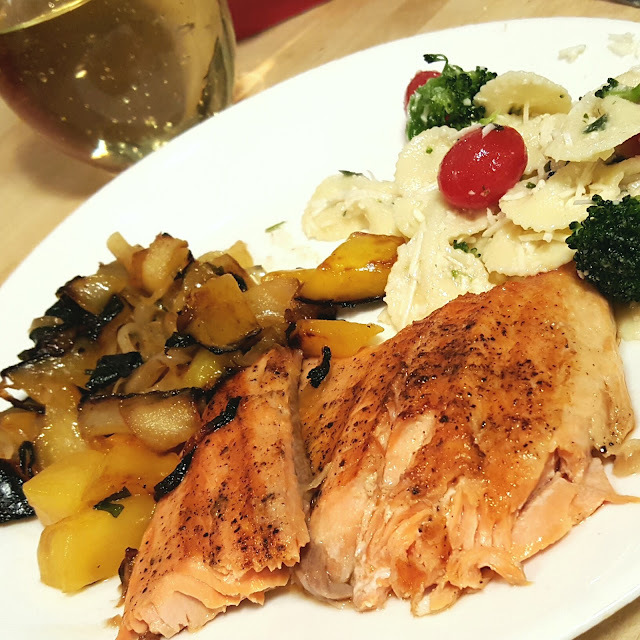 So here's the breakdown on our stay-at-home Valentine's Day meal. If you went out to eat and had a meal similar to this, compare what you paid at the end of the night. You'll have to include the tip you paid because service is a luxury that comes with dining out. We served ourselves. BONUS: The luxury of eating on a comfy couch with our feet up while watching a movie. All fresh ingredient salsa: Mangoes, apples, clementines, onions & basil, reduced with Moscato.